Hola! Como va la semanita? La mía tranquila, aprovechando la playita y el buen tiempo... Aqui va otra entrada de inspiración de zapatos. Esta vez algo distintos a las alpargatas. 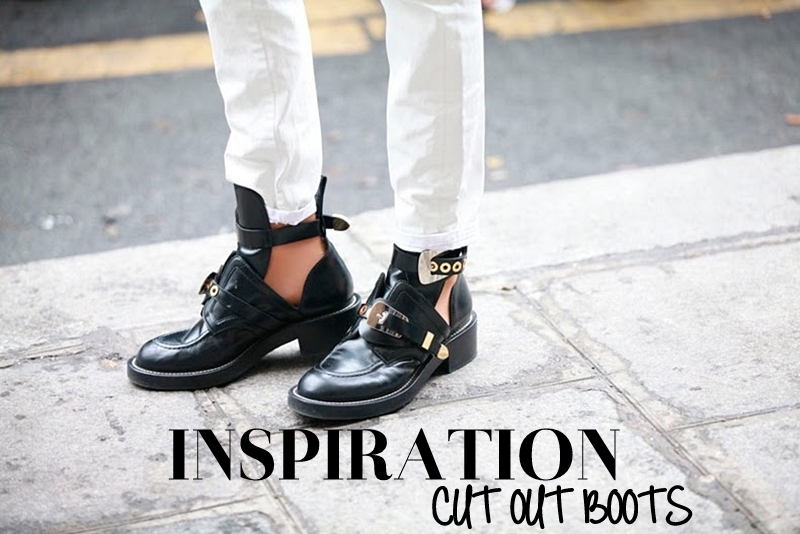 Las ''cut out boots'', perfectas tanto para el verano como para el invierno. Combinables de mil formas, aunque confieso que la que más me gusta ahora mismo es la versión con un vestido corto y una chaqueta vaquera! Os gustan? Si o no? Hey guys! How are you? What about your week? I'm enjoying the good weather and the beach so much... Here you have another shoes inspiration post. But this time quite different from the last one. 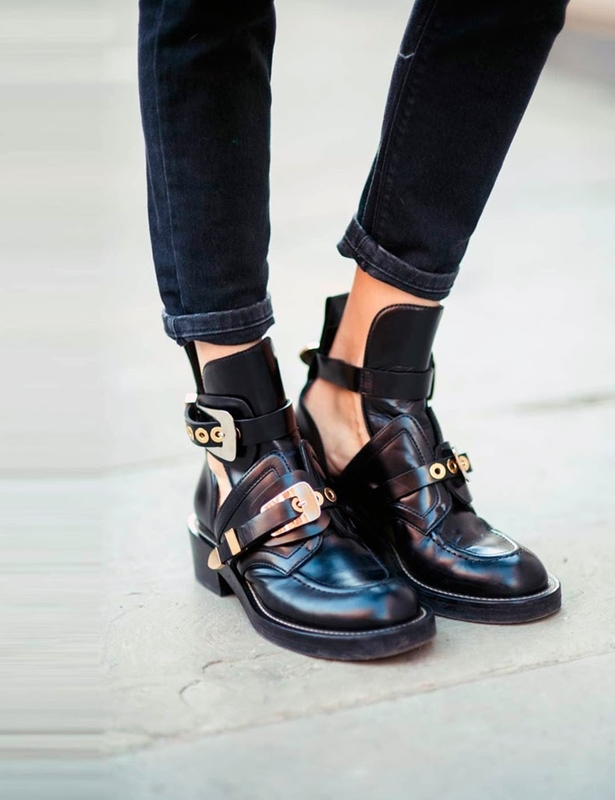 Cut out boots, perfect for winter or summer. You can combine them in many ways, but I have to confess that I love them with a short dress and a denim jacket. Kind of coarse... aren't they? Like them? Yay or nay? I'm already following you darling!!! I don't really like it but Zara has an inspired model now for 50€! Estas botas no nos acaban de gustar. Por muy de moda que estén no nos vemos con ellas! I love this kind of boots, with or without socks they always look amazing!!! These have the perfect grungy feel to it, it needs a certain type of outfit to go with it though. Hope you're well sweety, miss you! EHEHEHE We were thinking equally!! 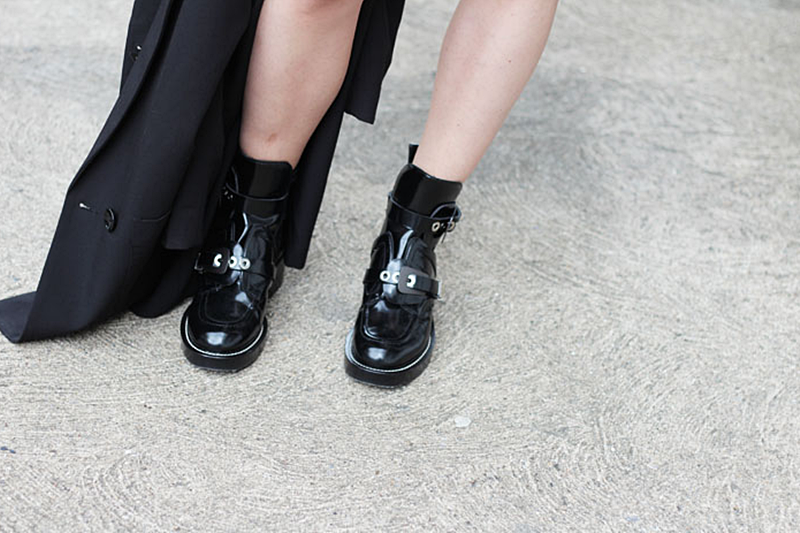 We have similar tastes when it comes to these boots! They're the coolest thing :) Oh zoe, long time since we talked!! My summer is going great!! I'm still working but I'm grateful for that!! I didn't do so much beach as I thought I would be doing but I'll try to go some more days because the weather is great around here at least for now!!! And what about your summer? And oh!! I'll do another trip to england, maybe even before christmas!! Many of my friends went to other countriesto study so I have a bunch of places to visit ehehe And yes, I'm always excited about thinking to shop in London!! :P And I want so much a par of 501 Levis!!! I want to see those shorts on you!!! A mi también me gustan mas puestas con un vestido y una cazadora vaquera, bonito post !!! Con vestidos y faldas quedan muy bien! megustan las más sencillitas! algunas las veo muy tocho para según que outfits!